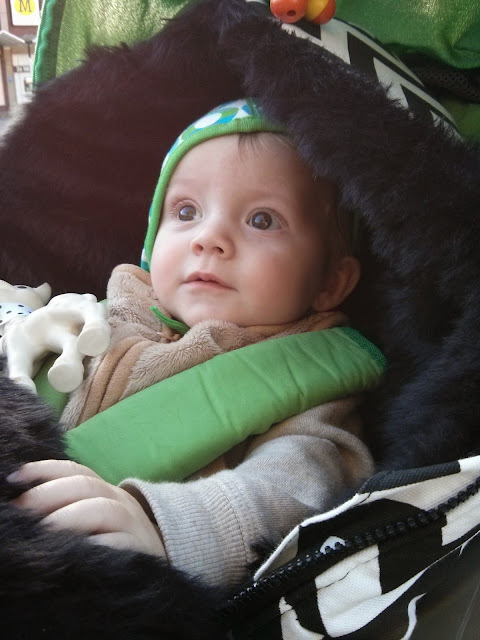 Medicated Follower of Fashion: Six months old - Baby Led Weaning begins! An open letter to Felix. 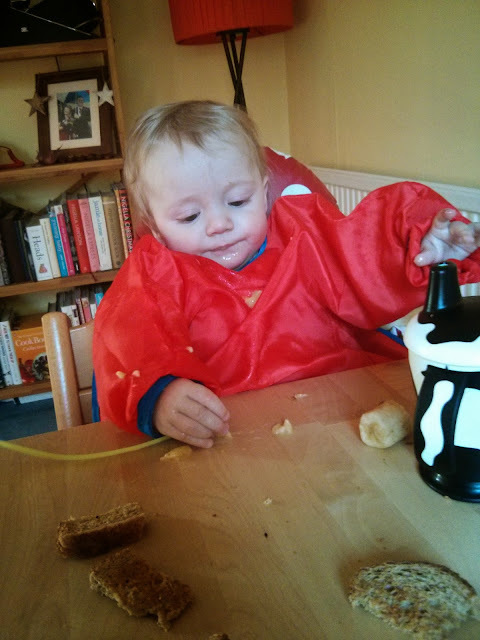 Six months old - Baby Led Weaning begins! An open letter to Felix. How can 6 months have flown by? Just a moment ago you were a tiny squawking newborn, Felix! 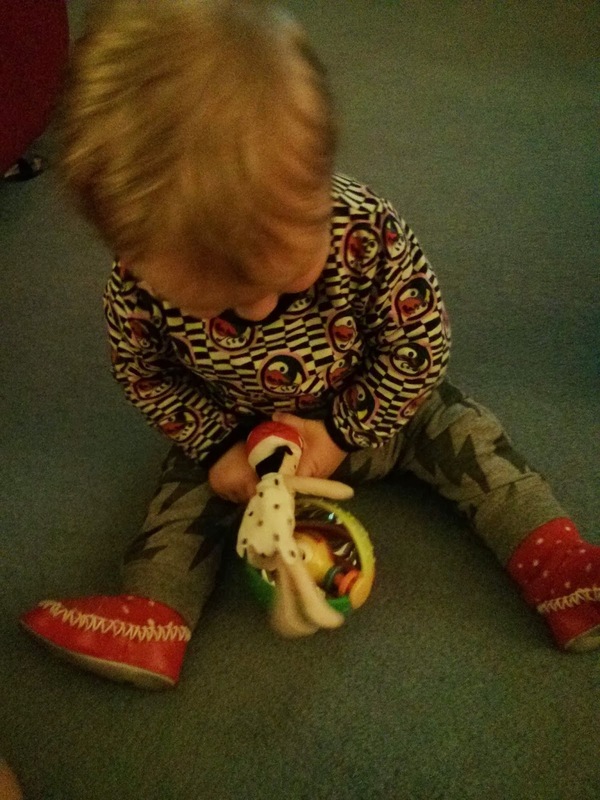 Now you are sitting, rolling around, shuffling backwards and on the cusp of perfecting crawling forward. So exciting! You've tried a heap of stuff now! Without a doubt you like banana, fruit pots, rice cakes, cheddar and bread the best at the moment. It's lovely starting this journey with you. The funny little faces you make as you experience the new tastes and textures. This morning you enjoyed some banana and porridge mixed up. You prefer to eat it from my fingers!!!!! We are going for a baby lead approach but I'm not against the use of spoons as long as you aren't being force fed. Usually you have one spoon and I have the other and we rotate. Or, like this morning, you eat from your fingers and mine!! Whatever works. At six months old you have three teeth which surprised me. Your big brother Ethan didn't get his first tooth until he was 12 months old! You still wake twice a night for a bottle, usually you make it through 12-14 oz of milk in a night. Just like your brother in that respect. You are a very good boy. You prefer your naps in your cot. Usually you have a two hour nap in the cot (mid morning usually) and a cat nap in the afternoon, in the buggy or cot, depending on what we are doing. You settle like a dream in your cot. You are happy to be put down awake which makes life easier! We use cloth nappies on your cute little behind. At first you were totally in disposables, but over time we've made it from full time disposables to part time to full time including nights. Although your grandparents will always put you in a disposable. I suppose Grandma had enough of cloth when she brought me up!!! You look so cute with a big cloth bum and I get too much of a thrill putting you in cute nappies... as if I need another addiction! You adore your big brother. No one makes you smile and laugh like he does. It warms my heart to see the two of you together and I really hope you'll grow up loving and supporting each other. 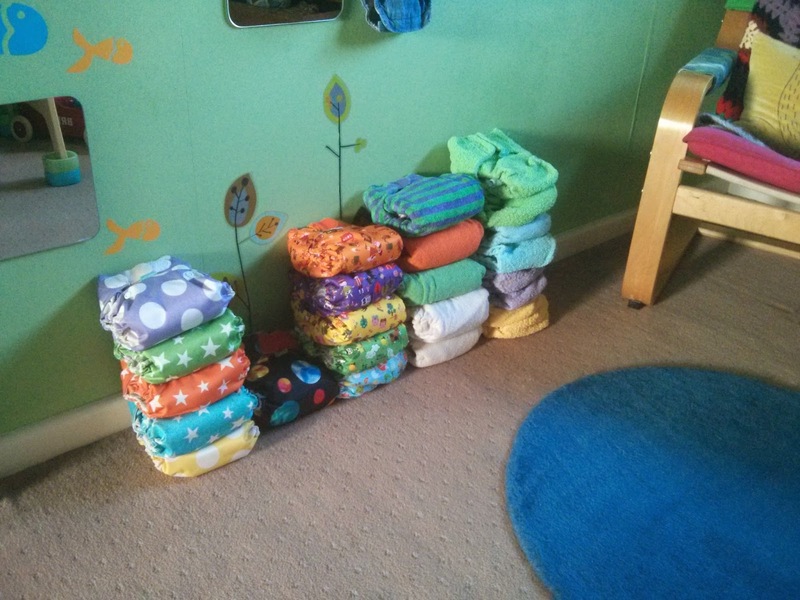 It hasn't been easy adjusting to being a Mummy of two. It's damn hard work and some days are hugely stressful, rushing too and from. Sometimes I feel you get the raw end of the deal because you get taken from place to place as we rush about with your brother (school, swimming, friends houses) but you always seem such a cheerful chap. Everyone comments on it! You smell like heaven. One of the bonuses of the fact I only wash my hair twice a week is that your beautiful smell gets transferred onto my hair and I love catching a whiff of my baby boy on me. Weird, I know.. but no one smells as good as my boys!